Wondering how to celebrate St. Patrick's Day with kids (aka without green beer)? Head to your local library and stock up on some festive picture books! You don't have to have any Irish heritage to enjoy these picks, which feature leprechauns on urban adventures, clover-swallowing old ladies and casts of many other vibrant characters. Cut yourself and your lads or lasses a slice of soda bread and settle in for story time. "T'was the night before St. Patrick's—the day to wear green. Not a creature was stirring, except Tim and Maureen." 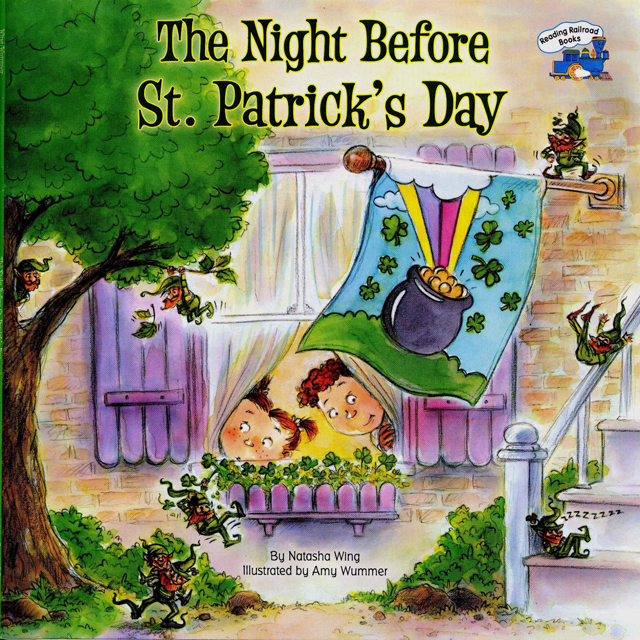 Follow Tim and Maureen as they stay up all night decorating the house with streamers and shamrocks and setting traps in an attempt to catch a leprechaun and cash in on his pot of gold. 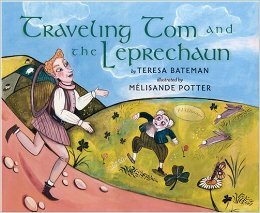 Young children will love Wummer's whimsical, detailed illustrations, which have hidden leprechauns to be spotted. The insatiable Old Lady is back with another festive classroom favourite. 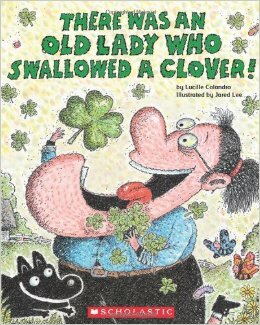 Lucille Colandro's Old Lady series has a great rhyme and meter to it’s' text, making it ideal to read out loud with kids. Read this book if your kids have cabin fever and need some spring imagery - she's hungry for daisies and butterflies in this one. 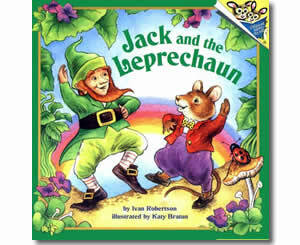 Gaelic terms and Irish customs get woven into the story of Jack the mouse who visits his cousin Sean in Ireland on St. Patrick's Day. Jack learns about the symbol of the Shamrock, the myth of leprechauns and pots of gold, soda bread and more, as he experiences Irish hospitality first hand. Each page of this cute book is like opening a greeting card, with a lively little rhyme and cartoon image. It follows a pack of leprechauns as they start their St. Patrick's Day parade, sing and dance an Irish jig and end in an Irish feast. Big font and few words make this an easy read for young kids. 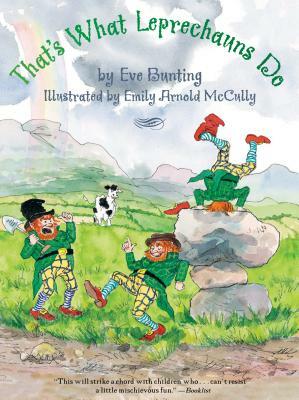 This detailed, engaging story follows three mischievous leprechauns on their journey to complete their leprechaun duty - find their buried their pot of gold and place it at the end of the rainbow before it disappears. With a limited amount of time to complete the task, they promise each other no mischief. Throughout their quest, many temptations arise, and the crew doesn't prove very good at resisting. This is the story of Tom, a traveling minstrel, who falls in love with a beautiful princess, Kathleen. 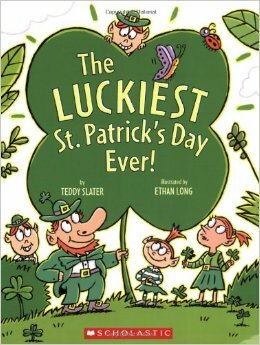 Unfortunately for Tom, Kathleen is only to marry the man who can win a leprechaun's pot of gold. She doesn't think this will happen, but knows if it does, the man must be quick witted and cunning. Determined, Tom sets on a mission to fool a leprechaun into giving up his gold. Potter's gouache and collage illustrations depict Ireland's landscape with a unique, mythological feel. Need a holiday craft to accompany story time? Check out our favourite Pinterest-inspired St. Patrick's Day crafts. Happy St. Pat's! Forget The Over Scheduling Debate: How The Heck Do People Find The Time?